When some people hear the name “Buick,” they think of retirees and grandparents. And while it is hard to argue that point, I am not one of those people. You see, my first car was a Buick—a 1974 Century 350 Colonnade coupe. And while that car will never be considered a big-time muscle car or highly sought-after collectable, it sat pretty high on the pedestal to me. As far as I was concerned, when I got that car in 1987, it was in the same category as a new Regal Grand National, or a ’70 GNX, or a ’65 Riviera Grand Sport. The Kansas City area is full of cool secret car stuff, if you know where to look. This week I had the opportunity to visit one of those hidden gems, when we made a stop at Rich’s Classic Cars in Grain Valley, Mo. When you look at this place on the outside, you’d never guess you’d find all the great cars inside. 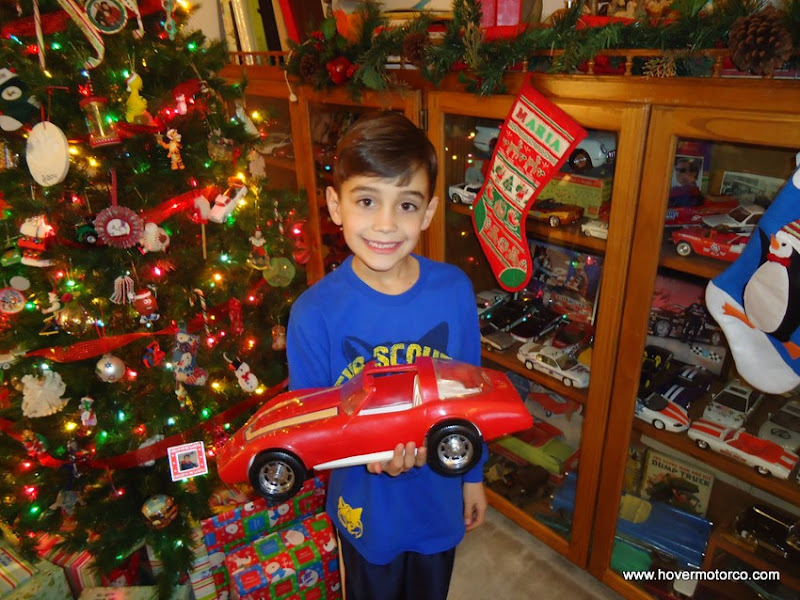 Owner Rich Koury has been buying and selling cars for 40 years, and when you visit with him, you realize that he really enjoys the hobby. 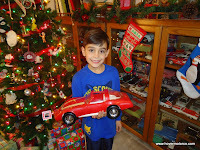 As we toured his inventory, he was ready with a story on each and every car. He’d tell you how long the guy owned it before him, where it came from, and sometimes even the dealership at which it was originally sold. Christmas is upon us. We've had a great season of car shows, events, and more, but now it's time to spend some time with family and friends, and do something a little less car-related. I know when I was a kid, I always looked forward to getting some kind of model car, toy car, slot car, Matchbox car ... well, you get the idea. I really never could get enough of this stuff. Even though there aren’t many car shows scheduled around Kansas City right now, that doesn’t mean that you can’t go check out some nice cars once in a while. Take Happy Days Dream Cars in nearby Warrensburg, Mo. Owner John Meyer had a whole showroom full of very nice things to see. It was definitely worth the short trip out of town. 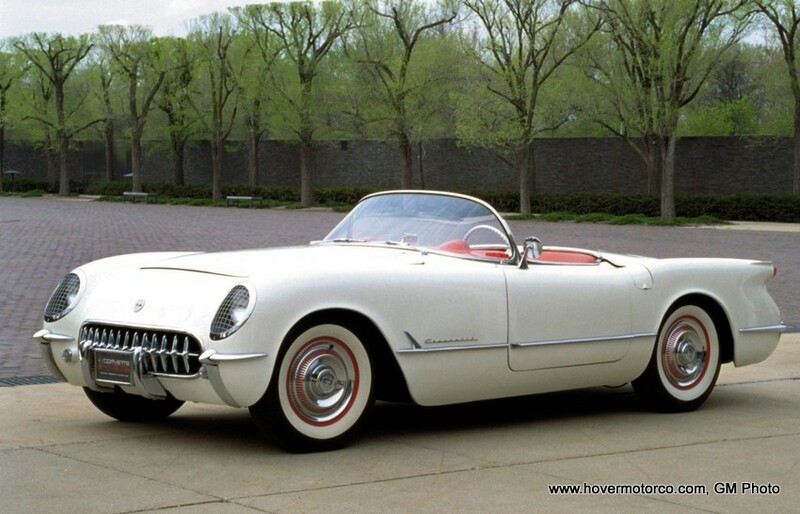 Did you know that 2013 marks the 60th anniversary of the Chevrolet Corvette? Since the Corvette is admittedly my favorite car, I couldn't let this momentous occasion pass by without a little recognition. What other car elicits such widespread admiration as the Corvette? And I'm talking about every single year, from the first production car in 1953, right up until the latest Corvettes that are rolling off the line in Bowling Green, Ken. To prove that point, I'm including a slideshow at the end of this article with pictures of every single year the Corvette was produced. I took every one of these pictures myself, mostly at car shows around Kansas City. Since today is December 7, the anniversary of the Japanese attack on Pearl Harbor, I thought we could revisit a World War II car-themed story today. Actually, it's more of a non-car-themed story, because as you will see, there really weren't even any cars being produced. People often have a hard time differentiating American vehicles from foreign vehicles these days. The complex equation of assembly plant locations, company headquarters, content origin, and marketing message can throw off even those who want to support the home team. General Motors builds Impalas in Canada. Chrysler has an Italian owner. Toyota and Honda build a few of their vehicles in the U.S. What does it all mean? Six years after the release of the movie, Pixar Cars 1:55-scale die-casts are still hot. It’s a product line that refuses to die, and the folks at Disney know how to keep it going. With a second feature film last year, the popular Mater’s Tall Tales shorts, and several new books and special events, they just keep coming up with reasons to introduce new die-cast models. 2013 Lincoln MKZ test drive review. 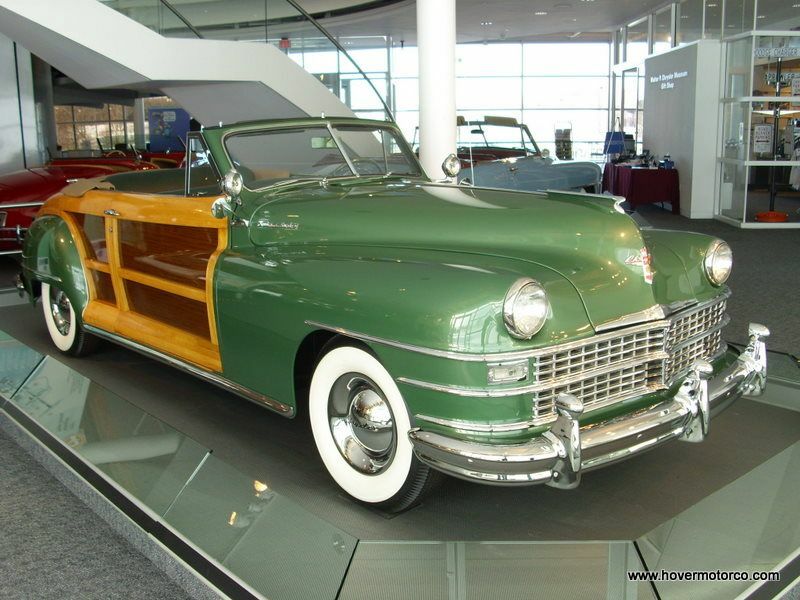 Is this car worthy of Lincoln's heritage? 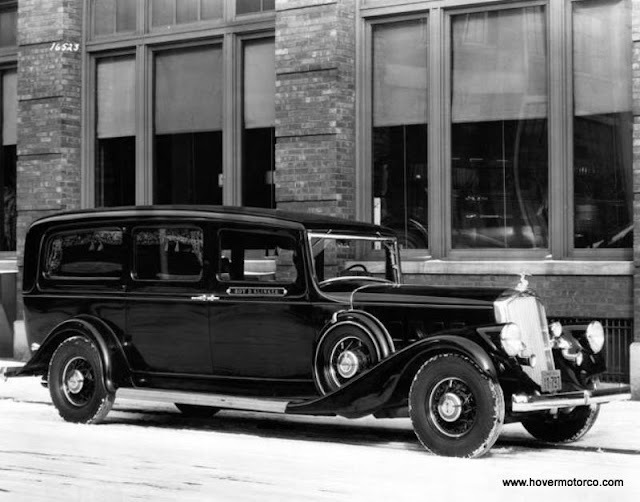 Lincoln is an automotive icon that has experienced some ups and downs throughout its history. During the peaks, their cars are the choice of presidents, athletes, and celebrities. During the valleys, they have been considered old ladies cars, airport shuttles, and tarted-up Fords. But right now, the folks at Lincoln are definitely climbing back up the mountain, as evidenced by the beautiful new 2013 MKZ sedan. In a sad bit of news, it has been announced that the Walter P. Chrysler Museum in Auburn Hills, Mich., will be closing at the end of the year. The Chrysler Foundation, which is the not-for-profit group that owns the content of the museum, was unable to raise enough money each year to maintain their status. 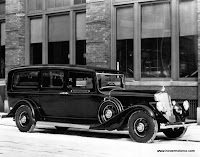 The content will be purchased by Chrysler Group LLC, and the museum will become a private display, used only for special events and Chrysler employee functions. That means the days of walking in off the street and appreciating this significant display of Chrysler vehicles, will come to an end. Thursday, Chevrolet took the wraps off of the much-anticipated, 2013 SS NASCAR Sprint Cup stock car at the Los Angeles Auto Show. 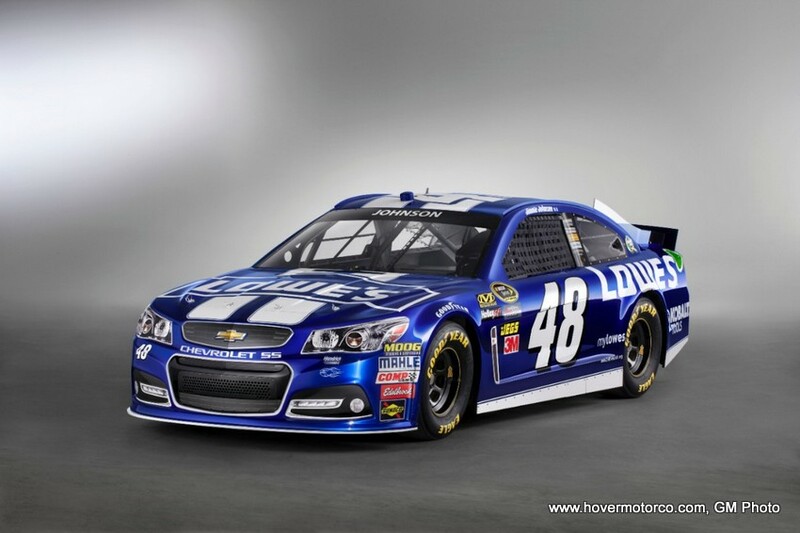 The car will be based on the upcoming, Australian-built, 2014 Chevrolet SS. This is pretty big news for bowtie loyalists, because it marks the return of full-sized, rear-wheel-drive performance to the Chevrolet lineup. But it certainly isn’t their first foray into this market segment. When people think of the SS badge, images of ’69 Camaro 396s and ’70 Chevelles with 454s might come to mind. But the SS badge was born on Chevy’s full-sized offerings. In 1944, Ezra Sutton took his ’37 Chevy pickup to the Midville General Store to pick up some supplies for his chicken farm. Ezra had been trying to keep the old truck running for the last two years, but between the broken exhaust manifold and the massive oil leak out of the main seal, plus the ever-increasing valve clatter that refused to adjust out, it was getting harder. There were no parts available because of the war, and he had to do it all himself because his son was stationed in Japan. The truck simply refused to start when this photo was taken in front of the general store, and no one there could figure out how to make it run. Ezra’s neighbor ended up towing the truck back to the farm, where it sat until the scrap metal dealer hauled it away two weeks later. Black Friday. Depending on your perspective, that term either makes you excited or scared to death. Do you like fighting the crowds to get the best deals of the year, or do you hate taking your car into door ding and shopping cart hell to save a few bucks? Personally, I do not enjoy the feeding frenzy that is Black Friday, although there are occasionally some good deals online that I can get behind. It turns out there is a place in Bonner Springs, Kan., that specializes in those very types of cars. On any given day, Wagner’s Classic Cars will have a fresh supply of Hemi Cudas, 409 Chevys, and magazine-worthy customs. As someone who attends a lot of car shows, and also as the owner of an ugly old ’63 Chevy C-10, I tend to notice trucks like mine when I’m out and about. 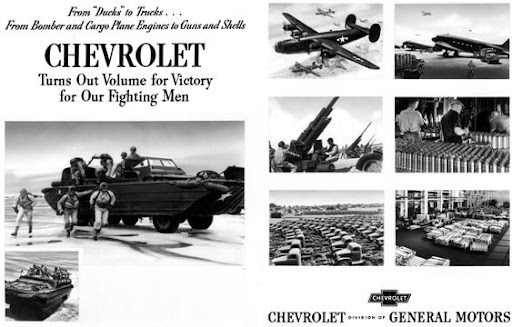 This generation of trucks was around from 1960-1966, and they sold a bunch of them. I think they kind of went off the radar for awhile. I know I used to think they were pretty ugly old trucks, and not many people seemed to be focusing on them as restoration candidates. What do old car guys do when the place that their favorite car cruise is normally held closes down? Well, in the case of the Longbranch Cruise in Overland Park, they keep going to it. For many years, this was the destination for old cars on Friday nights. It wasn’t unusual to see 150 or more cars packed into the Longbranch and adjoining closed-up Chili’s parking lots. People would file into the Longbranch, and sit out on the patio listening to the D.J. and keeping an eye on their rides. In honor of Veterans Day, I thought it would be nice to look back at one of the more significant and poignant vehicle displays I have ever been to. The Military Vehicle Preservation Society has all kinds of interesting old war machines that they display at various functions, and a couple of years ago they brought out several fascinating, battle-tested vehicles to Kansas City’s Liberty Memorial. And the enthusiastic group of owners was available and willing to answer any questions that people may have had. Of course, the car show season is just about over in Kansas City, but there are still a few holdouts. If you want to stay close to home, be sure to go to the Basehor Boys Cruise Night on Friday, or the Gibson’s General Store Cruise on Saturday. Of course, you can also head west for a car show in Wichita, or east for a swap meet near St. Louis. Whatever you decide to do, you better do it now. Old Man Winter is coming. I put everything I could find on the very short list below. You can also see the NASCAR television schedule from Phoenix this weekend. Don Dougan was livin’ every car guy’s dream. Just one look around the large, fenced-in yard of the World War II veteran’s estate, and you can see that he was completely submerged in the things he loved. The large, grungy, three-bay shop was stocked with every tool, engine hoist, and welding rig anyone could ever need. The land around the shop was crammed full of old cars and parts. And whether they were waiting for the day they would find their way into the garage, or halfway through the process, every car and truck had a story to tell. When BHo and I showed up for the Fritz’s Shawnee cruise Sunday afternoon, I wasn’t surprised that we were one of only three cars in the lot. It was a little cool out. The Chiefs were sort of playing football. The NASCAR race was underway. It just wasn’t the idea situation to have a huge turnout. So after we parked, we went in and enjoyed a little ice cream while people had their burgers delivered via model train. Fritz’s is a good place to go for a car show, because even if there aren’t any cars to look at, you are still entertained. Well, you knew it was going to happen. The Kansas City car show calendar is getting smaller and smaller. Soon, there will be nothing left to report. Of course, for the folks that are hosting the events below, it isn’t all that small. If you're still looking for some automotive action, go to the Toys for Tots run at Rawhide Harley Davidson on Sunday. Or see some races at Grain Valley or Heartland Park. You might even buy yourself a project at the estate auction in Stillwell. I’m also including the SEMA show in Vegas, because it is so big it just can’t be ignored, and the NASCAR schedule from Texas. The entire Kansas City car show, car cruise, and car racing calendar is listed below. We are dangerously close to the end of the line when it comes to car shows here in Kansas City this year, but there are still a few welcome holdouts as the harsh realities of winter loom ominously in the distance. The idea of a permanent racing museum and local hall of fame is pretty nice, and C.A.R.B. is working on just that. Go to Lakeside during the day Saturday to get in on their auction and swap meet to raise money for this worthwhile cause. If you like big car cruises, there are several of them that will end for the season after this weekend. This is your last opportunity to see the Belton Cruise, the Hartman Heritage Center Cruise, and the Longbranch Cruise. Trust me when I say this: next week’s calendar is going to be sparse. The entire Kansas City-area car show, car cruise, and car racing calendar for October 24, 25, 26, 27, 28 is listed below. For car folks, this is a depressing time of year in Kansas City. Yes, there are some really cool season-ending events, but it also reminds you that soon there will be nothing left until next spring. And there is no better example of that than the huge racing weekend that just came to an end in Kansas City, Kan., which was punctuated by the Hollywood Casino 400 for the NASCAR Sprint Cup Series. Let’s review some of the action that took place in Wyandotte County. If you click on the headlines, they’ll take you to the complete race results. And you know, she was definitely on to something. PPG Industries, the folks who manufacture the paint that goes on most of the new cars out there, announced that for the second year in-a-row, white was the most popular choice. That’s not a big surprise. For a daily driver, white is a pretty good pick. It’s easy to take care of, doesn’t show many scratches, and looks pretty clean, even when it’s not. I’ve had a few white cars along the way, and they were always a pleasure to maintain. 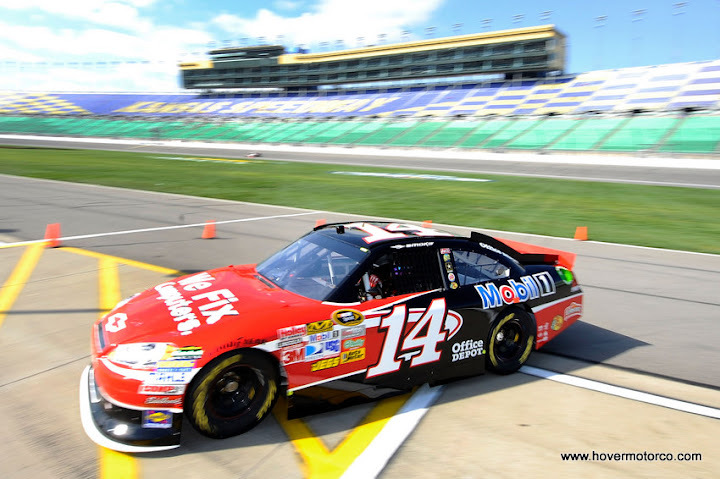 Well, one of the biggest events in Kansas City, car event or not, is the two-day NASCAR show at Kansas Speedway. You’ll see Jeff Gordon, Carl Edwards, Jimmie Johnson, Tony Stewart—all the big names of the sport (except Dale Earnhardt, Jr., who is still recovering from a concussion). And as usual, there will also be a dirt late model show at nearby Lakeside Speedway, which usually turns out to be the best race of the weekend. Oh, and there are still a few car shows and cruises hanging on until the end of the month. Hit them while you still can, because winter seems like an eternity once the car stuff is over. The entire Kansas City car show, car cruise, and car racing schedule, including local and television information for Kansas Speedway, is listed below. The annual Turner Days Car Show in the Turner High School parking lot is always sort of a bittersweet event. It’s great, of course, because there are always lots of nice cars in attendance. But it is one of the last significant car shows in the Kansas City area each year, so it always makes me a little bit sad. For four decades, the Lawrence chapter of the Antique Automobile Club of America has been hosting one of the better car shows in the area at the Douglas County Fairgrounds in Lawrence. No, it might not get the most cars. But it gets some very good cars. I really enjoy it because it has sort of a flavor that you can’t get at the typical hot rod/muscle car-packed extravaganza. This is more of an original old car show. Heck, this is an original old car guy’s show. It represents one of the best facets of the old car hobby, and a group of people that unfortunately seems to be fading away as time goes on. The Cars in the Park show at Shawnee Mission Park is a pretty nice place to go if you want to spend a relaxing day with a few nice cars. This is a fund raiser for Special Olympics, and the parking area near the boat docks is a nice place to spend some time. This is the fourth year for this show, and it has the potential to be relatively big. But the Basehor High School show is held at the same time 15 miles away, and that’s where most of the old cars seem to want to go. If they were to schedule this a little differently, I think it could really take off. You might think that since the calendar switched over to October, there wouldn’t be many car things left to do in Kansas City. But actually, this weekend’s schedule of events is surprisingly busy. They are having the 40th edition of the antique car show in Lawrence, and that always brings lots of interesting things to the fairgrounds. And while you’re out in that direction, Heartland Park has a drifting competition scheduled for Sunday. I’ve been told that this Corvette gathering in Eureka Springs, Ark., is a big shindig. Or just stay close to home. There are lots of great car shows and cruise nights in the Kansas City area this weekend, and this is the last one of the year for many of them. Or go watch the races at Lakeside or Grain Valley. Think about how much you’re going to miss this stuff when it’s over! The full Kansas City car show, car cruise, and car racing schedule, plus this weekend’s NASCAR schedule, is listed below. I don’t know how they do it, but this Basehor-Linwood High School Project Grad Car Show packs ‘em in every year. This was the 15th edition of this event, and although the car count may have been a little bit down from last year, there was still plenty to look at. As you can see from the pictures, this is quite a diverse car show. You might get an interesting car that belongs to one of the high school kids, and it’ll be parked next to a high-dollar muscle car. Over here you had a car that was built by George Barris in the early ‘50s, and over there was a Yugo (I kid you not). We keep clicking off the car events as we head into the fall, but there are still a few good ones to check out before Old Man Winter checks in. One of the bigger events in this area will be the Basehor-Linwood High School car show, which always seems to pack ‘em in. You also might want to check out the weekly cruise in Independence, or Cars in the Park at Shawnee Mission Park. Wherever you decide to go, there will be some great cars and trucks to look at, and no doubt several owners who would be more than happy to tell you all about them. 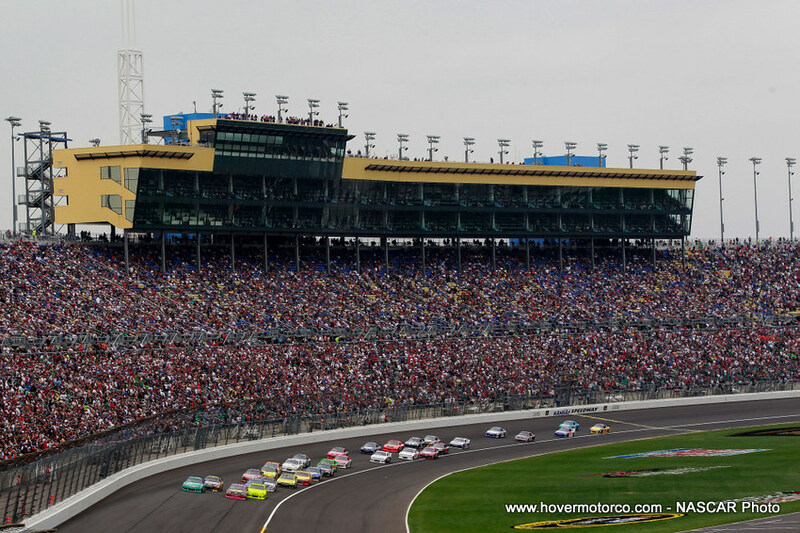 The entire Kansas City-area car show, car cruise, and car racing schedule, plus the NASCAR TV schedule from Dover and Las Vegas, is listed below. I was in time-killing mode Saturday afternoon, so I looked at the old HMC weekly calendar and found out that the Vintage Fabrication open house was taking place in Independence. I wasn’t really expecting that much, but I jumped in the Impala and headed east. As it turns out, I’m glad I went. Vintage Fabrication is actually a pretty cool place, and the turnout was surprisingly robust. This was the 19th year for this event, and obviously word has spread during that time. Hey, look, there’s an Aston Martin following us! Well, not really. But that was the reaction when I looked in the mirror while driving in a caravan of 2013 Ford Fusions. This does not look like the typical midsized sedan. And with all the attention that Ford put into the development of this car, those looks aren’t deceiving. Ford is serious about this new car. It will be the most expensive global car launch in the company’s history. And this is a global launch. 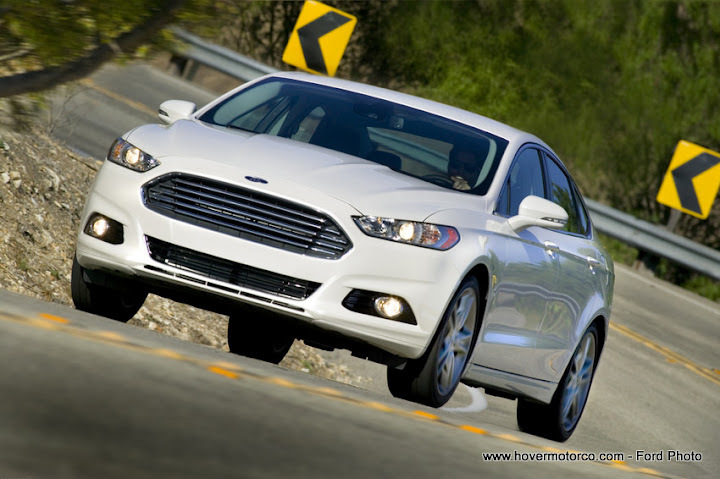 The Fusion follows in the footsteps of the Focus, Fiesta, and C-Max as another vehicle that should be popular all over the world. In Europe, this new Fusion will be the new Mondeo sedan. Some of the bigger car shows may be coming to an end in Kansas City, but we still have a pretty long list of things to do this weekend. The big Chevelle show is at the Great Mall on Saturday, and there are church shows in Olathe, Independence, and Blue Springs. And there are cruise nights all over town, including big ones in Belton and Independence. Or take in a car race. Lakeside is running a big Modified show Friday and Saturday nights, or head down to Lebanon for a 100-lap Late Model show. The entire car show, car cruise, and car racing schedule for September 19, 20, 21, 22, and 23 is listed below. 2012 Old Marais River Run. 1,200 photos. Yeah, it was that big. Generally, you can expect the Goodguys show at Kansas Speedway to be the biggest car show of the year in the Kansas City area. But I think we might have a new champion for 2012—the Old Marais River Run in nearby Ottawa, Kan. Nearly 1,700 pre-1972 cars and trucks packed into picturesque Forrest Park for a beautiful weekend of spit-shining and cruising. This is a dynamic show, with cars driving around the access road all day, people riding the shuttle through the show, and numerous organized cruises and activities throughout the weekend. This is the 26th year of this event, and the Over the Road Gang has obviously learned a thing or two about putting on a good show in all that time. On Sunday, I had this bright idea that I could go to 10:30 church, partake in a heaping plate of fake Krab salad from the Golden Corral buffet with my family, go home, get the truck, dart over to Shawnee to snap a few quick pictures of the 7th Annual Wheels and Dreams Car Show, and still make it to the awards ceremony at the All-Truck Nationals in Riverside at 2:00. There are lots of car events all over Kansas City this weekend, but most of the classic car world will be focused on Ottawa and the Ol’ Marais River Run. This is a monster show, with some 1,500 cars packing it into Forest Park. If you want to see something special, take that short trip south of town. Other significant events of note include the Shrine Swap Meet in Lee’s Summit, the Basehor Boys cruise on Friday night, the Platte City cruise on Saturday night, and the strong cruise at the Hartman Heritage Center in Independence. Check out the entire schedule of Kansas City car shows, car cruises, and car races for September 12, 13, 14, 15, and 16 below the break. If you own a Camaro, Corvette, Mustang, Thunderbird, or Chevelle, there is a big, model-specific car show in Kansas City just for you. Now, I don’t own a Camaro, Corvette, Mustang, Thunderbird, or Chevelle. I have an old truck. Not even a pretty old truck. So the chances of me hitting a show that I would fit in at are few-and-far between. As the summer winds down, lots of big car shows fire up in Kansas City. See tons of really great trucks from all over the country at the Midwest All-Truck Nationals in Riverside. Check out a couple of big Johnson County car shows in Shawnee and Merriam. See an all-Dodge show at Olathe Dodge, or an all-Chevy show at Heartland Chevrolet. Whatever you like to see or do that involves cars, you’ll probably be able to find it in Kansas City this weekend. Check out the entire Kansas City car show, car cruise, and car racing schedule, plus the NASCAR events at Richmond, in the schedule below. The Goodguys Mid-Western Nationals is typically the biggest car show in Kansas City, and Saturday is usually the biggest day. In 2012, this was still the biggest show in town, but rains on Saturday kept most of the cars away until Sunday. Bright sunshine ensured that the car count was more like what people have come to expect on the final day of the show. They also open up this day to allow later-model vehicles, which obviously adds to the festivities. Every year about this time, the car show world descends on the infield of Kansas Speedway for the Saturday installment of the Goodguys Mid-Western Nationals. This is the biggest car show of the year in this area, and Saturday is the biggest day.